Go to market as a "base" product that will be offered at a "early buy-in" price, with a known factor that it is a base product that will be improved on. Provide validation in the real world, of whether the product has merit and will be marketable. It works but it not what it will fully be once completed. For startups, MVP's can mean success or failure - especially if your startup is a tech startup where the entire business model revolves around the technology product. 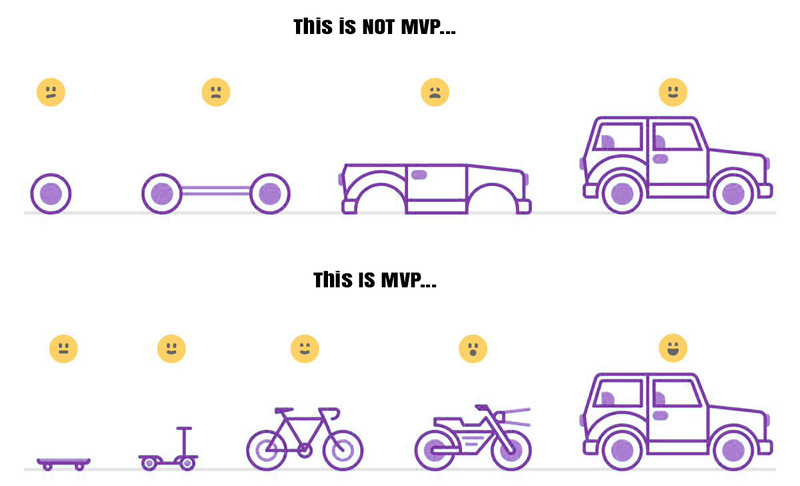 MVP's are also an integral part of the Lean Startup methodology where the "build-measure-learn" feedback loop provides the building blocks to solve the problems of today. Learning while your grow is the most critical piece to ensuring startups don't crash and burn shortly after launching. It really doesn't make a lot of sense to pour tons of money, time and other resources into a full-blown, finished product without first knowing that all the insane features you've dreamed up are actually something that the rest of the world really wants or needs. By using the MVP approach, you can create interest, propose new features, launch new features and through real user feedback, make decisions on whether to keep and build upon that particular feature or to scrap it and work on the next. By taking this "one or two features at a time" approach, not only will your startup save tons of time and money but you will be building a product that you know your end users want, need and will love you for!